In celebration of the start of the three-year title partnership of the Hyundai Mercury Prize, Hyundai UK has today launched the giveaway of the UK's first IONIQ Hybrid through a social media campaign. The competition will be hosted on Hyundai UK's social media channels, including @Hyundai_UK on Twitter, as well as Hyundai UK on Facebook and @HyundaiUK on Instagram. Entrants will need to join in the conversation for a chance to win by either tweeting using #HyundaiMercuryPrize on Twitter, or commenting on any post relating to #HyundaiMercuryPrize that is posted to Hyundai UK's Facebook or Instagram feeds. In addition to the main IONIQ Hybrid giveaway, there will also be 12 VIP spot prizes available which will include a pair of tickets to the Hyundai Mercury Prize 2016 Awards Show with one night's accommodation, a travel cost allowance and transfers. VIP package prize winners will be announced after 29 August. Participants will have until 23 September to enter the competition to win the UK's first IONIQ Hybrid. The All-New Hyundai IONIQ, priced from £19,995, is the world's first car offering three electrified powertrains: IONIQ Hybrid, IONIQ Electric and IONIQ Plug-in. The line-up aims to make make low- to zero-emission mobility more accessible to more people. Hyundai's innovative approach delivers an uncompromising design and driving experience, the latest connectivity and safety features with an enhanced industry-leading warranty-package. Follow the hashtag #HyundaiMercuryPrize for more information about the competition and for exclusive Mercury Prize content from Hyundai. Established in 1967, Hyundai Motor Company is committed to becoming a lifetime partner in automobiles and beyond. The company leads the Hyundai Motor Group, an innovative business structure capable of circulating resources from molten iron to finished cars. Hyundai Motor has eight manufacturing bases and seven design & technical centres worldwide and in 2015 sold 4.96 million vehicles globally. With more than 110,000 employees worldwide, Hyundai Motor continues to enhance its product line-up with localised models and strives to strengthen its leadership in clean technology, starting with the world's first mass-produced hydrogen-powered vehicle, ix35 Fuel Cell and IONIQ, the world's first model with three electrified powertrains in a single body type. Hyundai has sold vehicles in the UK since 1982. 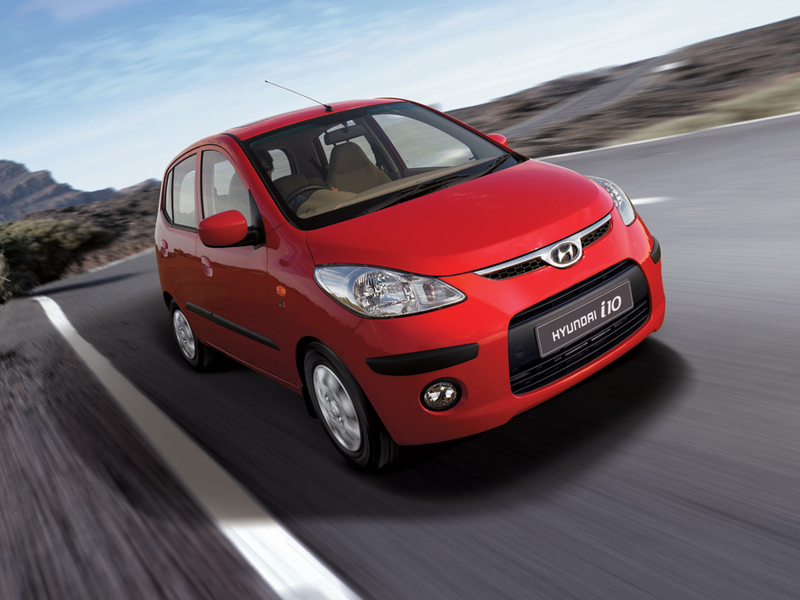 In 2005, Hyundai opened its own UK subsidiary, Hyundai Motor UK Ltd, based in High Wycombe. Since 2008, the company has risen from 21st to one of the top 10 car manufacturers in the UK and last year sold a record 88,257 vehicles. Hyundai Motor UK employs more than 3,000 people through its UK operations and dealer network. Hyundai offers a full range of vehicles from the award-winning New Generation i10 city car through to the capable Santa Fe SUV and iLoad LCV. All passenger cars come with Hyundai's industry-leading 5 Year Unlimited Mileage Warranty package. Further information about Hyundai and its products is available at www.hyundai.co.uk. The Hyundai Mercury Prize 'Albums of the Year' celebrate and promote the best of UK music, recognising artistic achievement across an eclectic range of contemporary music genres. 2016 sees Hyundai Motor UK become the official title partner of the Prize, as part of an initial three year deal. Mercury Prize Ltd organises the event with BBC Music as its official UK broadcast partner. The 2016 Awards Show will take place on Thursday 15th September at the Eventim Apollo, Hammersmith, with coverage on BBC Radio 6 Music and live TV coverage on BBC Four from 9pm. There will also be additional content on bbc.co.uk/music and via the BBC Music app. For more info see: http://www.mercuryprize.com. Yeah. I wish they'd make it a worldwide contest. They might arrange similar contests for North America once the price and release date is announced. So did this happen and is the Ioniq on the roads in the UK? The above post has NOTHING to do with the thread in question. This is the second time you've done this. If you continue, you will be banned.